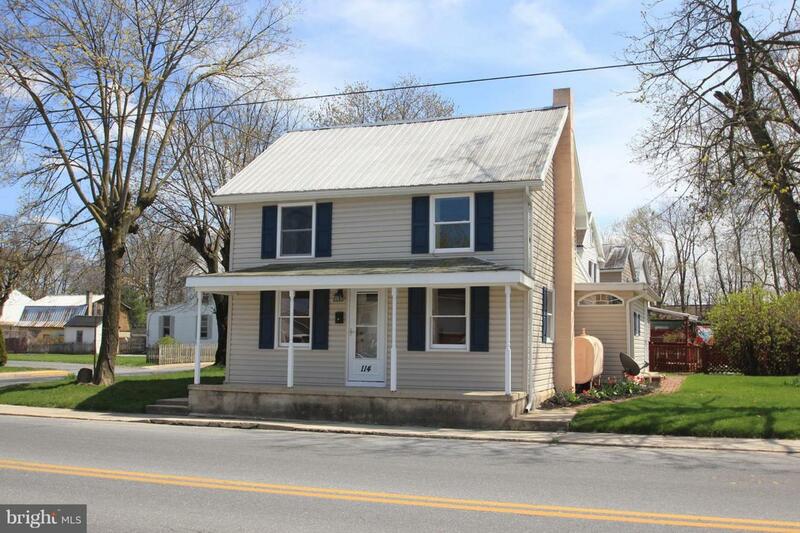 Perfectly charming 2 BR 1.5 BA home in downtown Shippensburg! Completely remodeled - Everything is NEW & CUSTOM! Bright Kitchen is a chef's delight featuring gas range, SS Appliances & large Island open to Din Rm w/Gas FP! Living room is generously sized w/Oak wood beam & Electric/Gas Fireplace! 1.5 ft wide window wells! Well insulated! New oil furnace w/Nat Gas available!New Proposed FEMA Flood Map removes this property from the Flood Zone that it is currently in, Owner was last told from the Shippensburg Borough that may take place sometime this Spring.